The hot sauce with a surge of flavor. Original Red Hot is made with a premium blend of aged cayenne peppers that add a kick of heat and a whole lot of flavor to your favorite foods. 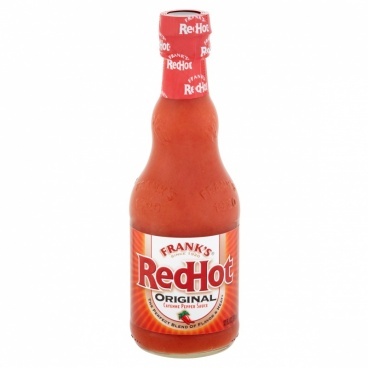 It's a recipe that's delivered a thrill a bite for over 80 years Since 1920 Frank's Original RedHot sauce is made with a premium blend of aged cayenne peppers that add a kick of heat and a whole lot of flavor to your favorite foods. It's a recipe that's worked for over 80 years. Frank's Red Hot Pepper Sauce on: pizza, chili, chicken, soups, burgers, pasta, steak, stews, tacos, eggs, ribs, and baked beans. Ingredients: Aged Cayenne Red Peppers, Vinegar, Water, Salt, and Garlic Powder. 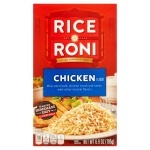 American Food Store. INGREDIENTS: Aged Cayenne Red Peppers, Distilled Vinegar, Water, Salt and Garlic Powder. Produced from genetically modified maize.